This raw fudge recipe is a tasty and healthy alternative to those made with raw cacao which among other things is a stimulant. 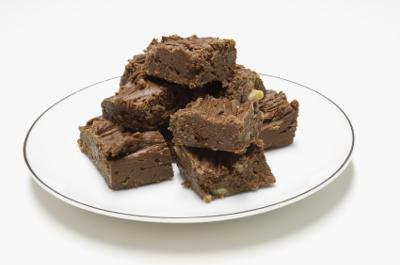 I like this raw fudge recipe because it has few ingredients and is super easy to make. Process the almonds in food processor with the “S” blade; add the dates until you have moist dough, then add the other ingredients. Add water throughout process as needed to keep the mixture moving. Hand fold in the walnuts and shape into bars or spread into a pan and refrigerate for 1 hour (if you can wait that long) before you enjoy your raw fudge. If the mixture becomes too moist, adding ground chia seed will thicken it up and add a creamier texture. You could mix in or top with raisins, pecans, or coconut to be extra decadent. Keep in mind this recipe is high in fat and sugar which is not an optimum combination, so eat it in moderation as an occasional treat.